Silly geese! 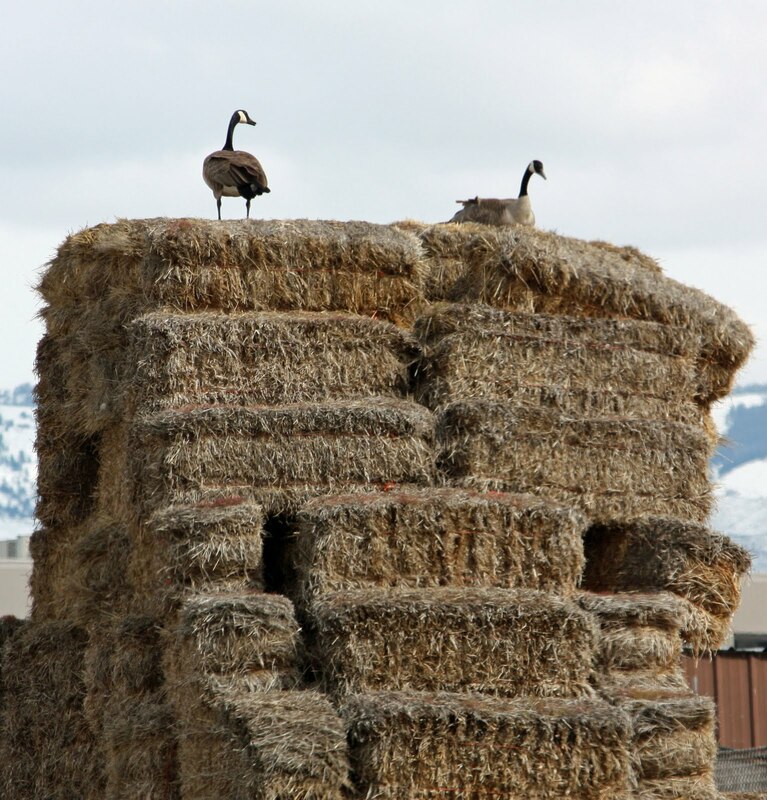 They did this last year, too - set up housekeeping on the top of the haystack. King of the haystack, just try to knock them off.